A long time ago, twenty plus some years ago, when I was working for Levi Strauss & Co. (Canada) Inc., the progressive company culture inspired continuous growth and development of the company and their employees, a lot of things changed … as did I. Inspired by the company’s dynamic changes being led by organizational development initiatives such as the “Aspirations” program and the Myers Briggs Type Indicator Test (MBTI) testing, and the university psychology studies I had enrolled with the intent to acquire a Ph.D., I discovered corporate life, at least in the roles I had worked in, were not rewarding or challenging for me … in a good way. In fact, due to previous experiences that conditioned a negative attitude in me, it was surprising I did so well on performance reviews, but doing the work was not difficult for me. In fact, every role, once the basics were mastered, soon bored me … and I discovered as some people do .. that doing the work without the engagement of the heart and soul, along with the mind, created a sense of being unfulfilled, frustrated, and resentful. Gaining knowledge about myself from all these experiences shattered the limited beliefs I had become accustomed to over the years, just at the time the university humanities and philosophy courses threw open doors and windows inside of me and poured out things carried deep inside for thirty some years … writing. Writing about all kinds of things. Writing from years of silence. Writing from the deepest heart and soul … raw and untamed. Writing to finally be heard. I left Levi’s and then university to let fully loose the words that poured out in a relentless torrent over the next two years. Almost six hundred poems, forty short stories and essays, plus my first book, a stream-of-consciousness story poured out of me. Publication started to dribble in, even paid ones. The dawning of how much I had followed the course so many thought was appropriate for me woke me up, but the backlash proved daunting and for several years, I turned away from what I discovered, as well as from those who knew be before I struck off the beaten path. Explaining to people proved difficult because, for a while, my words were filled anger at the backlash experienced when I sought to follow the path I was being called to travel and naively, I unleashed my pain upon them with unkind words and distancing. But after Dad’s recent death and the quiet time provided to go through his things, I discovered the framed little poem I wrote that my Dad kept on his dresser these many years we were apart. The ability to define your desires. The ability to choose your choices. The ability to speak with your heart. The ability to act on your plans. The ability to be open and receptive. The ability to pursue your dreams. … not let life live you. Much has changed since then. Dad is now gone. And my quest to discover who I truly was … and am … and to develop my gifts, talents, and abilities based on both my previous experiences and education and my new ones revealed and refined my character, turning me into the bold, empathetic, creative, and empowered woman I have become. The ability to learn and make new choices. The ability to change and forgive. The ability to be flexible and adaptable. 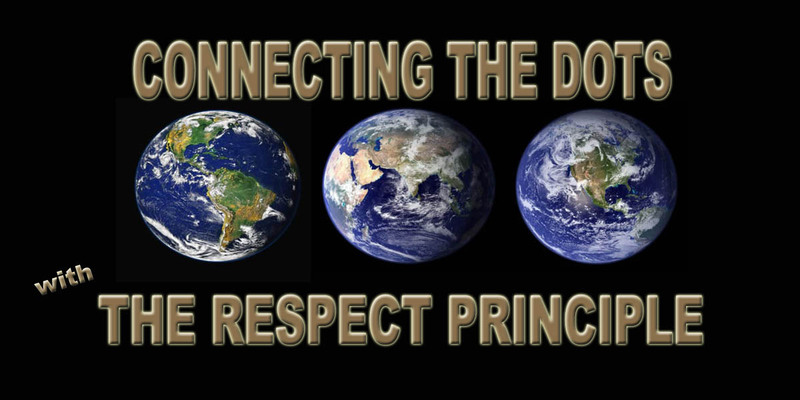 The ability to value … respect all life. The ability to love … unconditionally. Thanks Dad for treasuring these words … I hope they emboldened you … as they emboldened me to step off the beaten path to create my own … even if I did get lost a few times along the way. All is finally well.